The NYPD is conducting a review into allegations that a police officer threatened 50 Cent's life, telling others to "shoot him on sight." The NYPD said Sunday it was reviewing allegations by 50 Cent that a police officer told other cops to shoot the rapper and actor on sight. 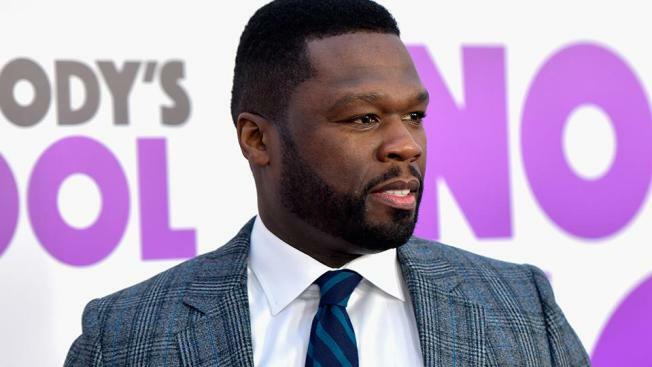 The Grammy-winner, whose given name is Curtis Jackson, tweeted that he took the threat seriously and was consulting his lawyer. Jackson called Deputy Inspector Emanuel Gonzalez a "dirty cop abusing his POWER." "The sad part is this man still has a badge and a gun," Jackson tweeted. The NYPD told NBC 4 New York that the incident was under internal review. The allegations stem from a report in The Daily News that Gonzalez told officers at a roll call last summer to "shoot him on sight," referring to Jackson's expected appearance at an NYPD boxing match. The report was based on an anonymous source. Gonzalez and Jackson apparently had an ongoing feud involving one of Jackson's favorite bars in Sunset Park, The Daily News reported. Jackson accused Gonzalez of shaking down the bar in a since-deleted Instagram post. Gonzalez filed an aggravated harassment complaint accusing Jackson of threatening him in a comment on that post. No charges were filed.